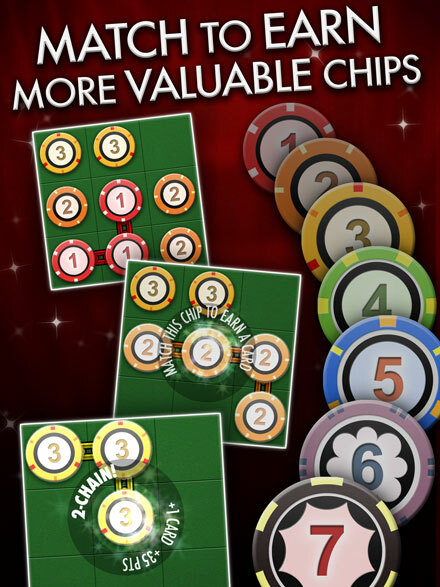 Place and match 3 or more identical poker chips to earn a more valuable chip, then chain together matches for huge bonuses! 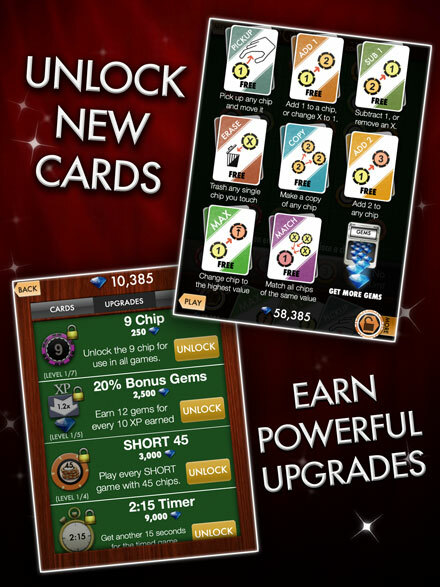 Play power-up cards to make combos, extend chains, and maximize your score. 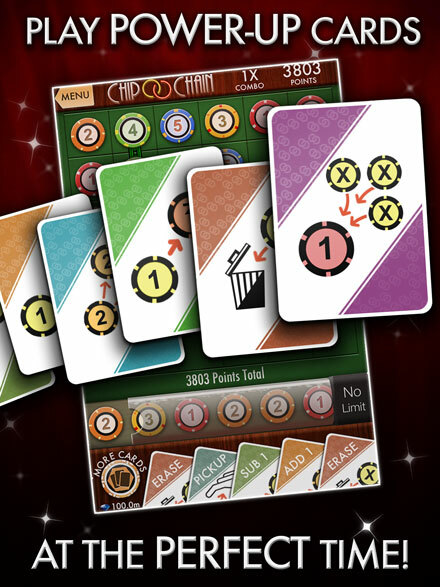 The dealer tosses random chips to get in your way, but if you play smart and think ahead, you can turn the tables and use them to your advantage! 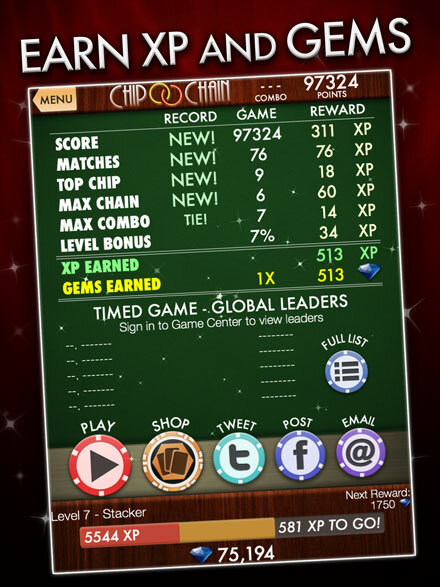 Chip Chain features beautiful HD Retina graphics for iPhone 5, iPod Touch, iPad 3G and 4G, iPhone 4, and iPhone 4s. This Universal App also supports iPhone 3GS, iPod Touch 4G and 5G, iPad 1, iPad 2, and iPad mini. 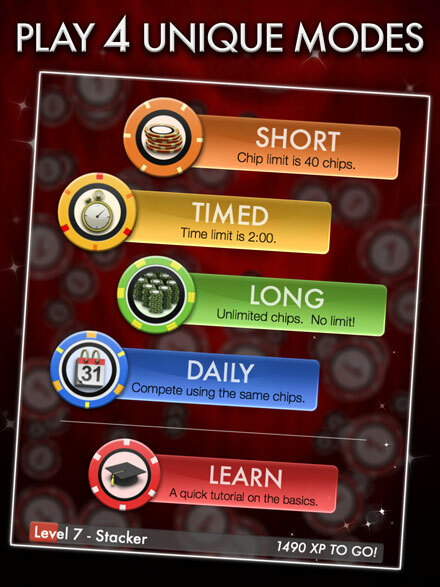 Coming soon for Android phones and tablets! 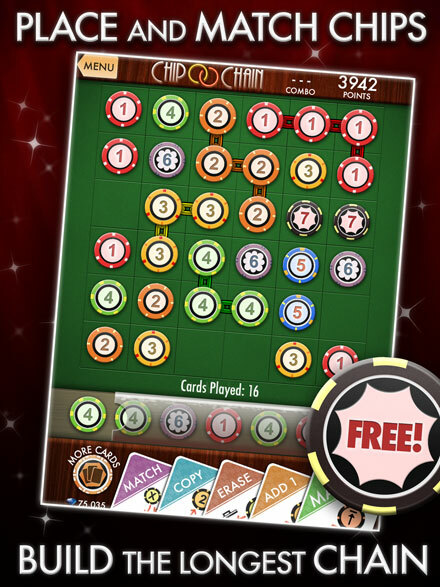 Chip Chain is FREE, so the only losing bet is to not download this game!